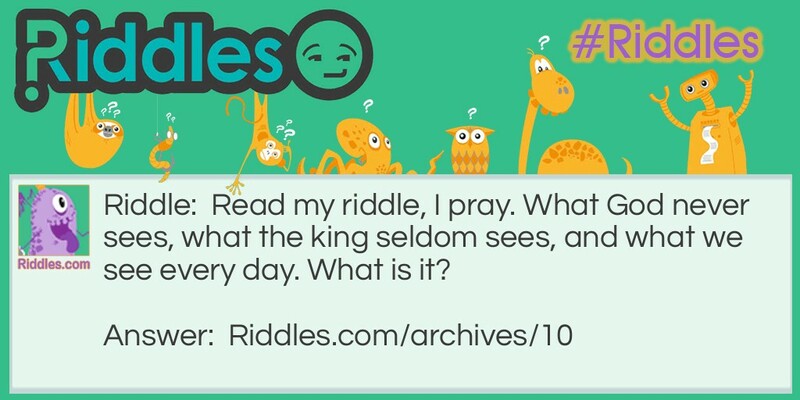 Read my riddle, I pray. What God never sees, what the king seldom sees, and what we see every day. What is it? What God never sees Riddle Meme with riddle and answer page link.